Kia ora and haere mai, welcome to the 26th instalment of 9mm for 2018, and the 198th overall edition of our long-running author interview series! 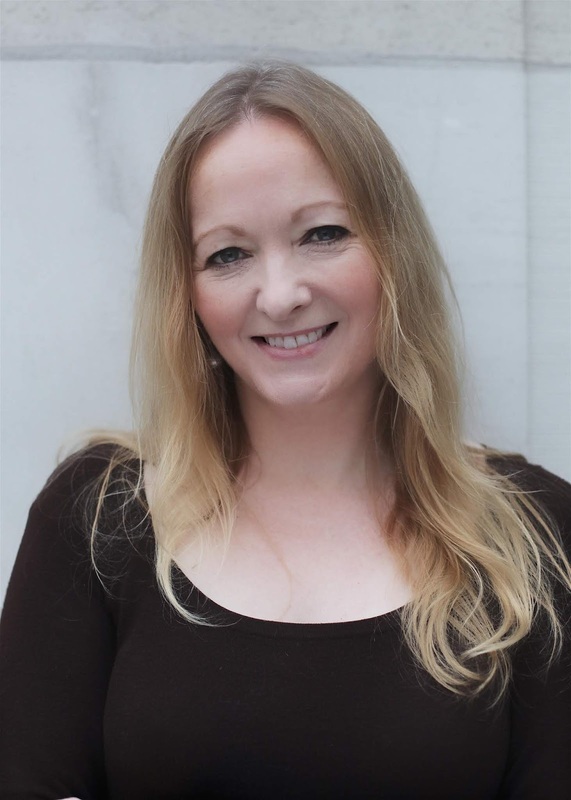 Today I'm very pleased to welcome Oxford-based crime writer Cara Hunter to Crime Watch. Just to clarify, that's the Oxford in England, the home of the world-famous university (and what I imagine is the original Oxford), not the town in South Canterbury in New Zealand, the ones in Ontario or Nova Scotia, Canada or any of the towns in 24 of the 50 US states that share the name. Cara studied at Oxford University, earning a PhD, and still lives and works in Oxford, as well as setting her crime novels there. But this isn't the Oxford of historic ivy-clad colleges and university spires; instead Cara takes readers into the grittier side of the university town. 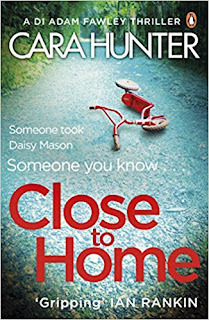 Cara's first crime novel, CLOSE TO HOME, was a Richard & Judy Book Club pick and became a #1 bestseller, and her second, IN THE DARK, has just been released. "I've always been a voracious reader and viewer of crime," Cara has said. "I've learned so much from the outstanding writing that we now see on crime TV like Line of Duty or Broadchurch, and I've tried to recreate the experience of watching series like that for my readers." Cara's third book starring DI Adam Fawley will be out later this year, but for now, she becomes the latest author to stare down the barrel of 9mm. Well for someone who writes books set in Oxford it rather has to be Morse, doesn’t it! Though I confess I rather prefer the character he became as the TV series evolved, rather than the one he was in the earlier books. One of my own characters is a (female) detective called Somer, which is an anagram of Morse. My own small homage. I read a huge amount as a child and I can still remember some of my first books. ANT & BEE was a huge favourite. I think it fell apart in the end, I read it so often. When I was a bit older I remember loving TAPIOCA FOR TEA by Sarah Shears. It was such a wonderful evocation of what it was like to live in the country as a child. 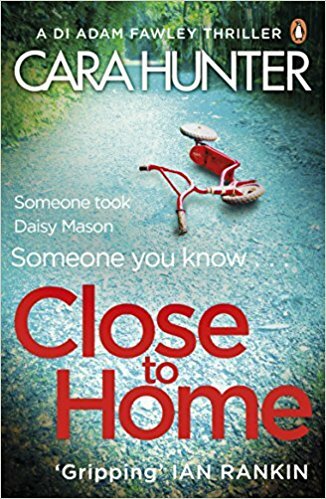 I’ve written novels before but they weren’t crime books, and what’s happened with CLOSE TO HOME is like a parallel universe by comparison. I could say reading crime fiction, but these days I see that as part of the job, albeit a very enjoyable part. I go to the theatre and to art galleries, and I love to travel. If it doesn’t sound too much like sucking up to the interviewer, New Zealand is my favourite country on earth (I’ve been five times!). I’m so lucky to live in a city as beautiful as Oxford, but even somewhere this well visited and televised will always have something to offer that isn’t on the main drag. Somewhere I always take friends is to see the back of the Sheldonian Theatre. Everyone knows the front where the ‘emperors’ heads’ are, but the back is the most perfect Palladian façade. And you can go up on the roof too. It has to be the best view in Oxford. An American friend once said I sound just like Helen Mirren. How about that for a compliment! But she’s a bit older than me, so possibly Romola Garai? CLOSE TO HOME, because that’s when my life changed forever. Though my husband says IN THE DARK is better. It will be interesting to see whether my readers agree. The first time I met Katy, my (now) editor at Penguin was one of the most memorable days of my life. It was the most amazing meeting – not only hearing Katy’s response to CLOSE TO HOME and the plans Penguin had for it if they became my publisher, but the number of people in the team who kept coming in and out to say how much they were loving reading it. I had absolutely no idea we were going to get a reception like that. My agent and I went for lunch afterwards and we just sat there staring at each other with these huge smiles on our faces. I don’t think either of us could quite believe it. An elderly gentleman in the audience once asked me what typeface the book was printed in (I had absolutely no idea). Turned out he’d worked all his life as a printer! You can keep up to date with Cara Hunter and her books by following her on Twitter.